What is the one entity that stops many potential entrepreneurs from chasing their dreams? The definite answer is obviously MONEY. Not everyone can secure a business loan or wants to put his or her personal possessions on the line. And, the majority of start-ups never obtain a dime from Venture Capitalists (VCs). Visions die daily because of a lack of proper bookkeeping, resources, and funds. The sum of money that goes into start-ups has been on the rise in the last few years. In 2013, VCs financed nearly $11 billion in seed and early-stage companies, up more than 17 percent from 2012. While less than 1 percent of all start-ups formed each year strike a VC deal, funding is both an influential reserve for the businesses that receive it and an indicator of significant trends in technology. The descriptor “seed” is fitting here since it proposes money that will fuel a start-up’s growth down the road. The front-runners of a start-up may not have any commercially available merchandise yet and are, instead, most likely absorbed on convincing stockholders why their ideas are worthy of support. Seed funding rounds are classically smaller and are directed towards research and development of an initial product. 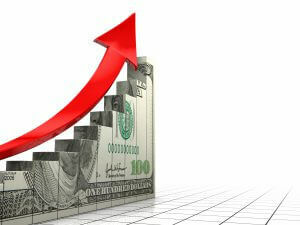 The money may also be used for directing market research or expanding the team. This phase is like the seed stage. With initial market analysis conducted and business policies in place, businesses look to begin publicizing and advertising the invention and attaining customers. Establishments at this phase likely have at least a tester product available. VC funding may be diverted to getting more management personnel, fine-tuning the product/service, or conducting additional research. Sometimes called “the first stage,” this phase only arises after the seed and start-up stages, in most circumstances. Funding expected at this stage will often go toward engineering and production facilities, sales, and more advertising. The sum capitalized here may be considerably higher than during the prior stages. At this point, the business may also be moving towards cost-effectiveness as it pushes its products and advertisements to a broader audience. Growth is often exponential by this phase. Therefore, VC funding aids as more fuel for the fire, enabling development to additional markets (e.g., other cities or countries) and diversification and differentiation of product lines. With a commercially available artifact, a start-up at this stage should be taking in ample income, if not profit. Many businesses that get extension funding have been in business for two to three years. If all goes well, stockholders may sell their shares and end their engagement with the company, having made a healthy return. These 5 stages are the most important; the other 5 stages needed for startup include each and everything starting from systematic bookkeeping to maintenance of the business. Make sure you allow enough money for the true expenditures associated with running your business for the first year of operation. Make sure you’ve planned for more workforces, production increases, more stuff for that new personnel, etc. One of the top causes many new businesses fail is because they don’t get enough start-up capital. Convincingly estimate your financial needs and leave room for the unexpected or you may unpredictably be out of business. So, now you know about different financing for different phases of the corporation growth and maybe have an idea of how much investment you need.